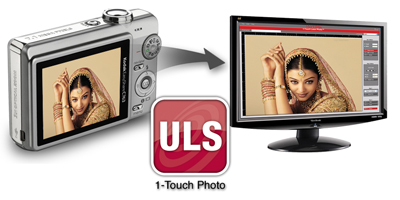 1-Touch Laser Photo is a product from Universal Laser Systems. 1-Touch Laser Photo is designed to process photos easily and efficiently and makes your images laser ready. 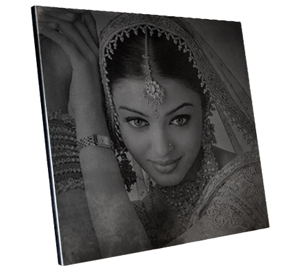 It does this by applying special filters to the image and adjusting the contrast and definition appropriately for the material being engraved. 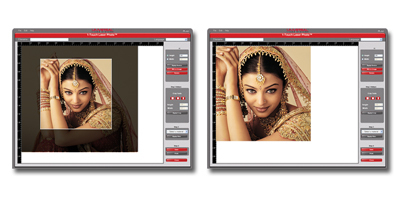 1-Touch Laser Photo is an exclusive Universal Laser Systems software application that allows you to quickly and easily make almost any photograph, logo, or other image laser-ready. 1-Touch Laser Photo applies special filters to your image and adjusts the contrast and definition appropriately for the material being processed. 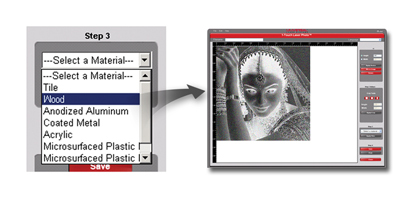 Using the software is as simple as selecting your target material from a list and cropping, resizing, rotating or mirroring the image as needed. 1-Touch Laser Photo is available as a Disc or Download. Note: If you select a Download, you'll receive an email with your Password and License ID, etc. within 1-Business Day along with the program download link. Open the file you want to engrave in 1-Touch Laser Photo. Adjust the height and width according to your material size. Select your material from the drop down menu.